Petitioner challenged the patent, alleging that it did not improve upon prior art, but the USPTO upheld its validity. The patent judges determined that the plaintiff did not satisfy their burden of proving unpatentability. The patent for Alimta has been upheld in prior litigation as well. Petitioner challenged claims 1-22 of the patent, arguing that they could not be patented. The patent withstood challenges in 2014 and 2015 in the United States District Court for the Southern District of Indiana, and in January 2017 the U.S. Court of Appeals for the Federal Circuit confirmed the earlier decisions. If it withstands all future challenges, patent protection for the drug will last until 2022 in the United States. 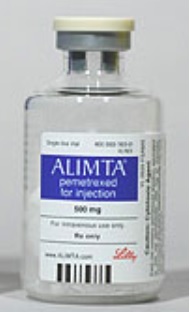 According to CNBC, Alimta is Lilly’s third biggest-selling drug, accounting for $2.28 billion in revenue in 2016. This case was assigned to the Patent Trial and Appeal Board and assigned Case No. IPR2016-00240.